Each pendant is unique so the wing pattern may vary in each piece. This butterfly used in this piece has lived it's natural lifespan. It has NOT been killed. Many sellers claim that their butterflies have died naturally but this is often not true. Butterflies will nearly always sustain some damage whilst alive. 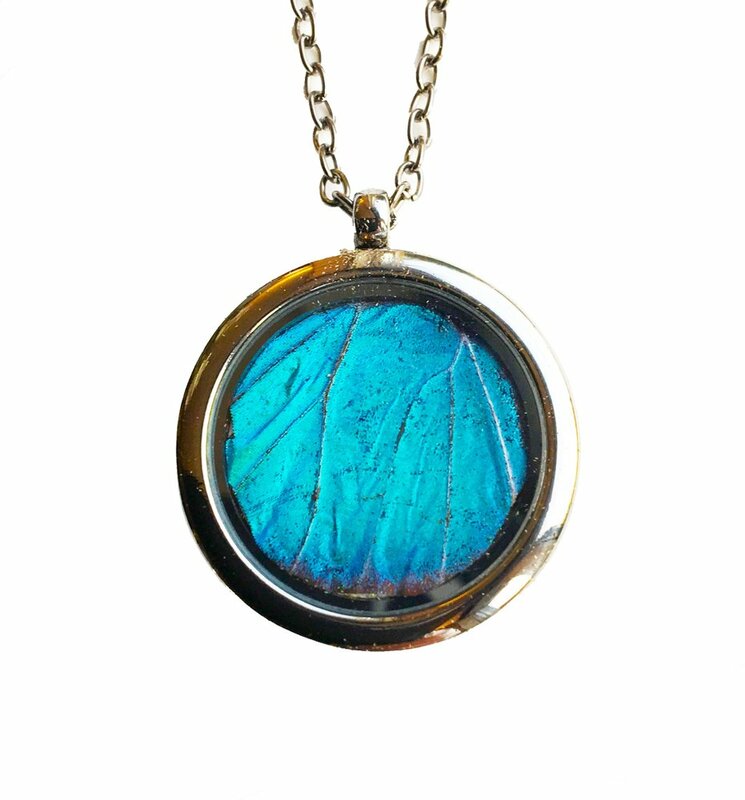 sometimes 1 or 2 wings from a butterfly will be in good condition due to this some of our products may have some minor imperfections and we feel that this only adds to its ethical beauty.